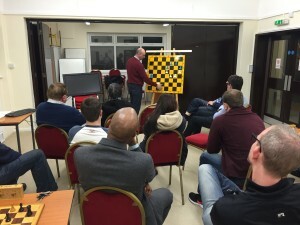 Upcoming Training: Rook Endgames, and Knights vs Bishops! 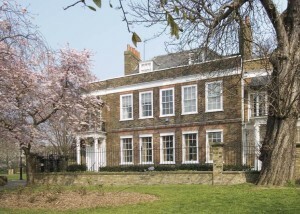 Save the date: Monday 25th April, starting 7.45pm at our home venue! 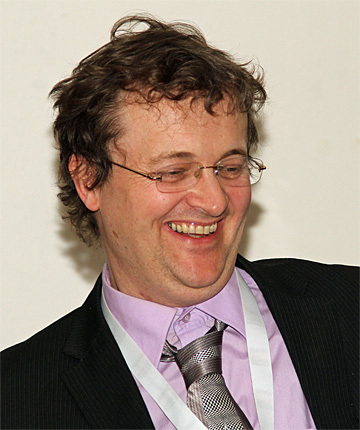 This Monday evening our Chairman Bajrush will be leading us through a session on Rook endgames at the training board. Anecdotally this is probably one of the more common endgames you’re likely to come across in a face to face game, or online, so it’ll be very useful for all who attend. At this stage in the game the advantage can switch very easily and it’s valuable to know any tactics that can help sway things your way. This will be followed by an interactive game of Knights v Rooks, where we’ll have two teams playing each other with players taking turns to make moves. Hopefully this will give everyone the chance to sense the positions and discuss possible moves – really get us thinking about the lines to play and combinations. Should be fun!! As ever, the session will be free and open to anyone who wants to come along – just drop us a line first so we know to expect you. It’d be great to see you there!! 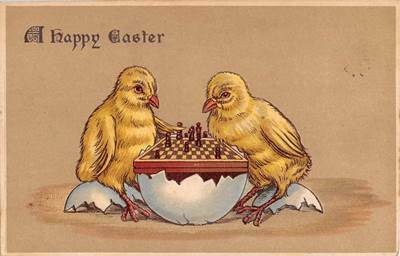 Author HammerPosted on April 20, 2016 April 20, 2016 Categories Club Updates, General Chess, Training & TheoryLeave a comment on Upcoming Training: Rook Endgames, and Knights vs Bishops! 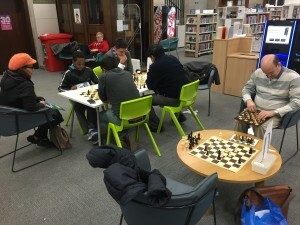 One thing we have been running for a while now is a weekly open-evening of chess at Hammersmith Library (Wednesday’s from 6pm) hosted by one or more of our club players. It’s totally free and anybody is welcome to drop by for a game and see what you can learn! Our ultra hard-working member Anda, has been a mainstay of these evenings and she’s regularly reporting attendance of up to 10 people an evening! We are obviously delighted with the response, and it’s been great to see a number of youngsters getting involved too. These sessions will continue for the foreseeable future – please drop by if you’d like a game! Largely thanks to the heroics of Anda and the buzz she’s managed to create with these sessions, we are today pleased to announce an expansion of this initiative to some other libraries in the borough. Starting in May, we will be in the following libraries on a weekly basis, with chess sets and a couple of club members, ready to play against all-comers!! We’ll also continue to be at Hammersmith Library every Wednesday from 6pm. It is a great opportunity to play some face to face chess against (relatively!) knowledgeable and experienced players, test your moves out, talk a bit of theory, or just see what you can learn. We’ve had all levels of players turn up, from total novices to wily online players who can mix it with the best. It’s a fun, stimulating and enjoyable way to spend an evening – we’d love to see you there! Get in touch if you’ve any questions or would like further details! 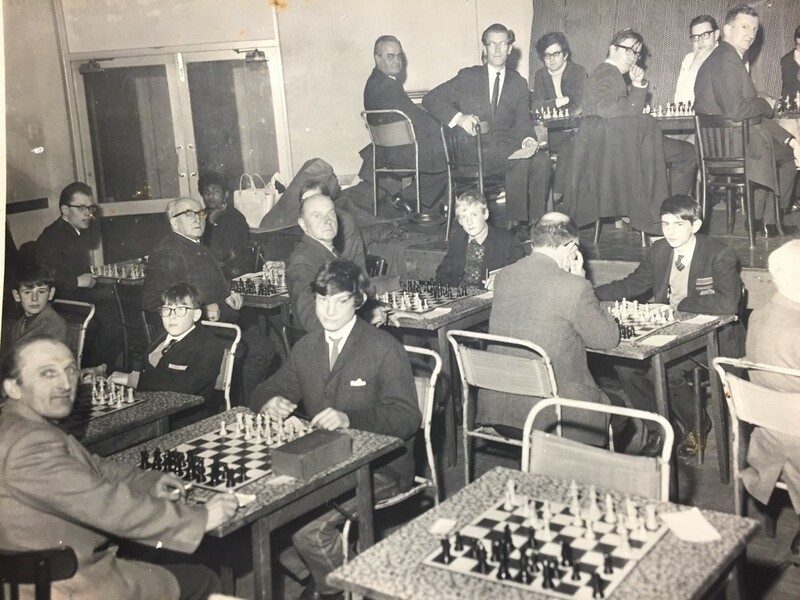 We are pleased to announce that Hammersmith Chess Club will be taking on Fulham Juniors in an eight board match 19th April. Although they are a “junior” club, they’re only really junior in the age of their members and it will be a strong team we face, with their top board player rated approx. 170 ECF! 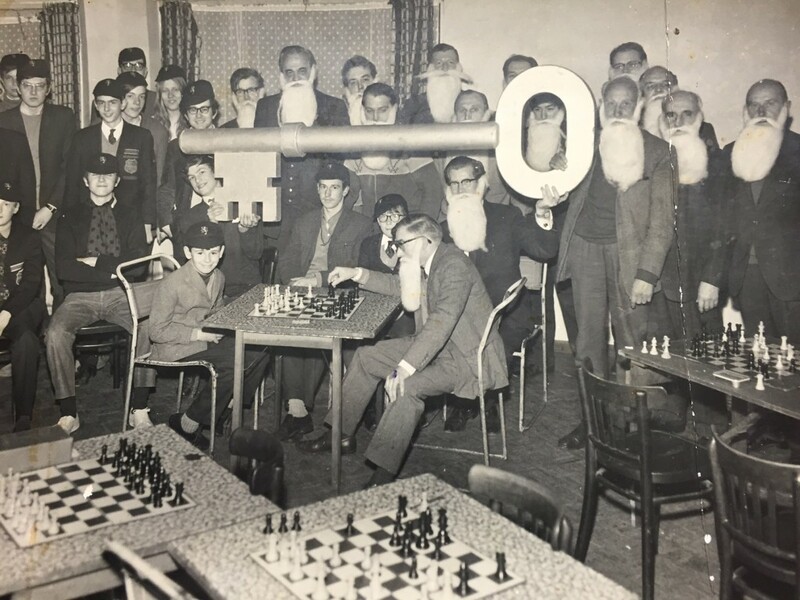 Fulham Juniors were founded in 2013, with the admirable aim of bringing fun & competitive chess and instruction to junior players in the Hammersmith & Fulham area. For our part, we hope to make the event a semi-annual match and establish closer links with Fulham and other junior clubs in the area. 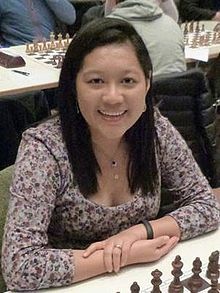 It also gives our members more opportunities for competitive games of chess. Save the date – our long-standing member Graham Snow will be honorary captain for the game. If you are interested in playing or coming along please contact John White. 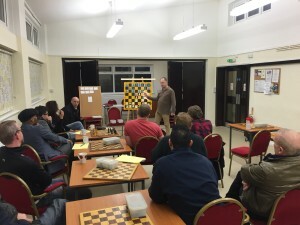 One of the key ingredients for the success of our club is to have a credible and worthy chess club tournament(s). This is something I have been asked to consult members on. 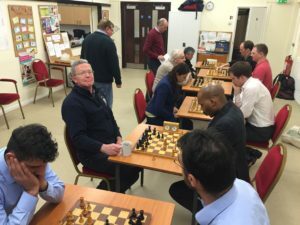 Currently the club has the Christmas Blitz Tournament running and nothing else – it is very popular and is a great social evening. 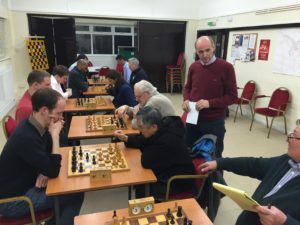 The annual Club Blitz Champion will be decided over the course of four tournaments: the one at Christmas, and three other tournaments to be held during the rest of the year. 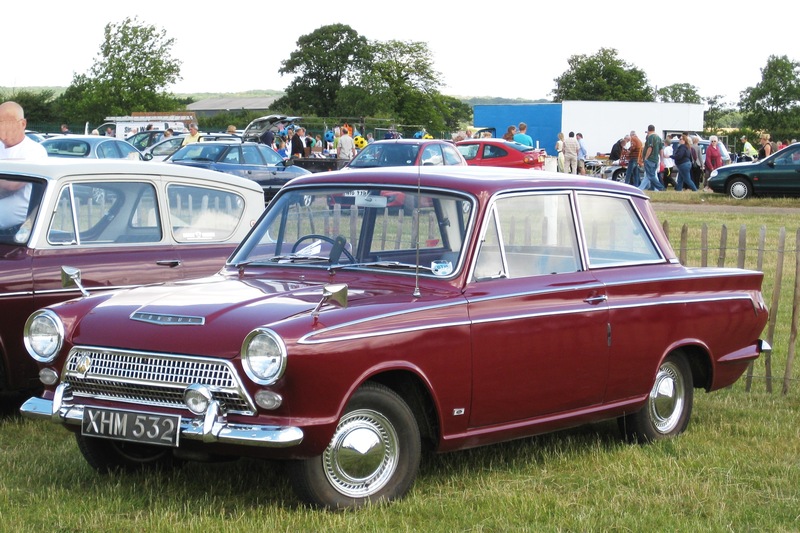 My feeling is it would be best to hold one of these on the first Club Night of the season, and one after the AGM. The other would be held between January and March. The overall competition would have a trophy and a cash prize. 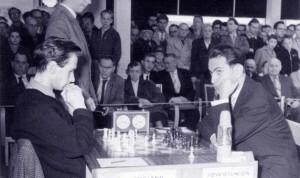 Secondly, an internal Rapid Play tournament would be held throughout the chess season with the aim of having the games rated so you obtain an ECF rapid play grade – the time limit would be 30 minutes per player for the whole game. Again, a trophy would be on offer. This would allow members to play a substantial game with a meaningful purpose – this caters for those members who prefer a more cerebral challenge. We’d like your feedback as soon as possible so we can propose a motion for approval at the AGM. Could you please leave your comments below, and/or email me directly.